Friends & Family, Vol. 1 was an album containing various artists material including Suicidal Tendencies and Infectious Grooves. It was released by Suicidal Records in 1997. It was sub-titled "Epic Escape" because Suicidal Tendencies - whose singer Mike Muir runs Suicidal Records - had exited the Epic Records label on which they had released much of their late 1980s and early 90s material. 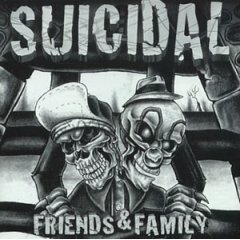 The Suicidal Tendencies tracks, "Scream Out" and "We Are Family", were eventually re-recorded and ended up on their next album, Freedumb in 1999. The Cyco Miko track, "Big Fat Baby", was a re-recording of a track called "Lost My Brain (Once Again)" on the 1995 album of the same name. Es extraño, hace mucho buscaba ese disco. Chau musimundo. 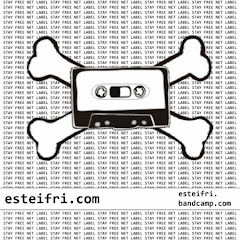 No me gusta tener discos en mp3; pero en estoy días... ¿Quién sabe?. Lo que tengo acá, que les puede interesar, es 17 Caramelos (de los chicos Martes Menta, antecesores de Pez). The Mono Men - shut up!